We’re used to seeing primates and big cats in top modern zoos with toys and puzzles. But an octopus at Living Coasts in Devon seems to be outdoing them all. Whether they’re specially-designed or ingeniously repurposed waste items, playthings provide mental and physical stimulation and encourage the sort of behaviours the animals might have to use to survive in the wild. This young octopus – common by name but decidedly uncommon by nature – has been at Torquay’s coastal zoo for less than a year. Previous octopuses (they are a short-lived species) have confounded staff with their ability to solve three-dimensional puzzles. 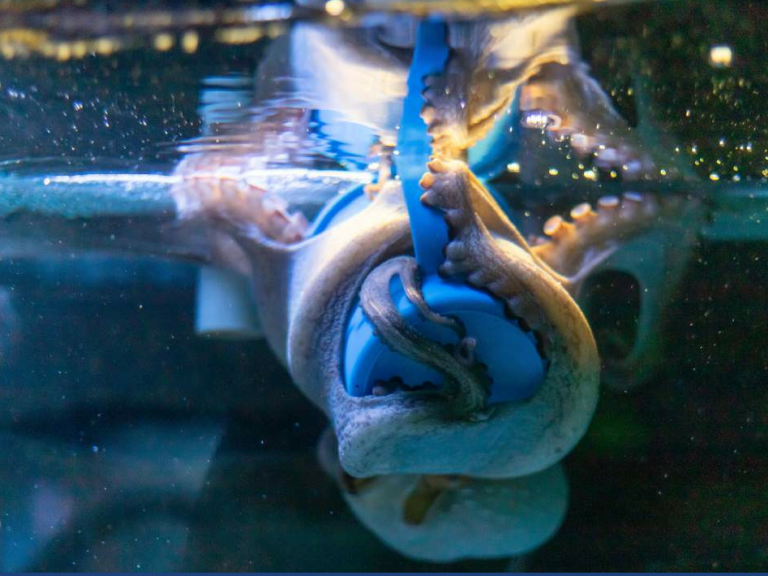 Kraken was named by public vote on the Living Coasts Facebook page. For more information go to www.livingcoasts.org.uk or ring 01803 202470.